Leverage your strengths, define your goals, and accelerate your path to success. Grow your leadership, strengthen your teams, and thrive during change. Achieve results that make a difference. Drawing on our “been there, done that” experience in healthcare we provide learning sessions that are relevant and authentic. TallTrees Leadership® is dedicated to serving those who lead and work in health care or health related fields, whether it be in hospitals, community, non-profit organizations, or the private sector. Our team is experienced in all aspects of health care. We have advanced leadership and coaching training and offer this unique expertise to support all professionals working in health care environments. We recognize the challenges of an industry that must balance economic, political, and policy issues, with the need to provide the best quality of healthcare services. Leading in this environment is demanding, exciting, and rewarding. It necessitates new skills, knowledge, and approaches for all, from the emerging leader to the seasoned executive. At TallTrees Leadership® we partner with you to support and encourage a new level of excellence. We provide key tools to assist you and your team to inspire change and build leadership capacity. We empower you to think differently, to grow and develop, and bring out the best in yourself and your teams. Our workshops are unique and interactive experiences that are committed to developing the knowledge, skills, and capacity of healthcare leaders and teams. Based on your unique opportunities and objectives we design a workshop that is focused on achieving results that make a difference. Our Executive Coaching services involve a series of exploratory conversations that support you to find greater clarity for personal and professional growth. Our coaches engage with you to seek opportunity, leverage your strengths, define your goals, and empower you to act to transform your skills and performance. The healthcare field is constantly feeling the stress of ongoing change and the delivery of quality services with increasingly limited resources. This reality requires effective communication, committed teams, and resilient and meaningful leadership. Our consultants assess your unique challenges and work with you to build a customized program that develops capacity and increases performance. 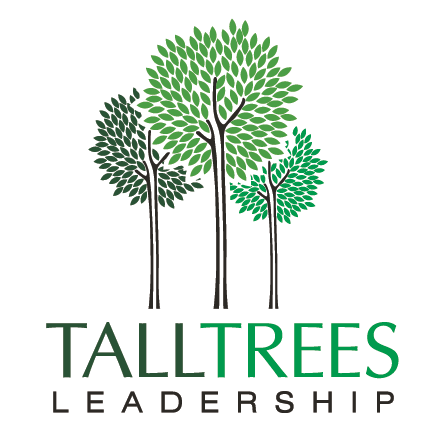 TallTrees Leadership® provides custom designed and expertly delivered speaking sessions for a variety of events. Drawing on our “been there, done that” experience in healthcare we provide learning sessions that are relevant and authentic, while offering new insights on the changing role of leadership in our increasingly complex teams and organizations.